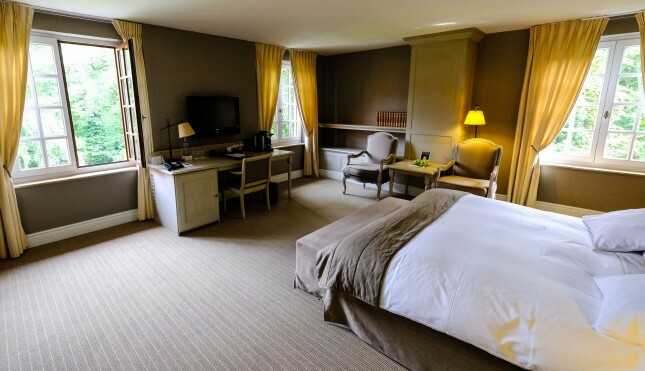 Review of Hostellerie La Butte aux Bois in Lanaken, Belgium. 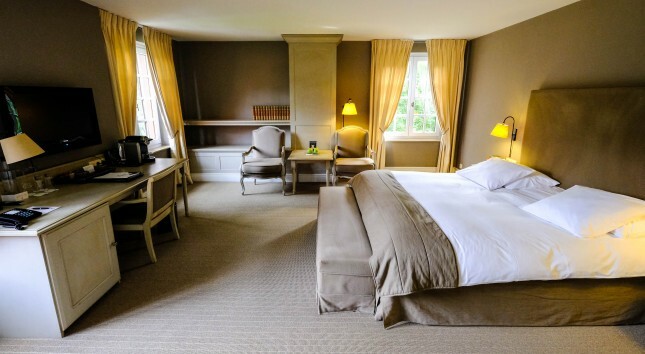 Hostellerie La Butte aux Bois is a conveniently located country estate in the town of Lanaken in Belgium. Lanaken is located in the Limbourg province near the border with Germany and the Netherlands. 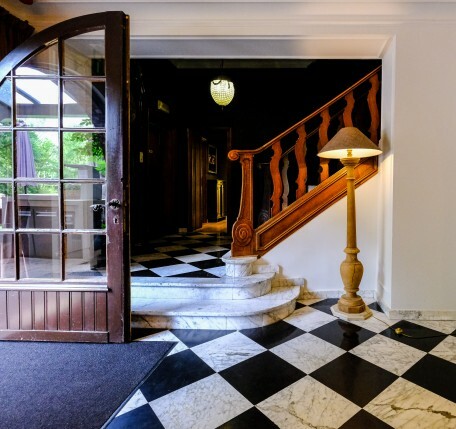 Hostellerie La Butte aux Bois is much more than a hotel. 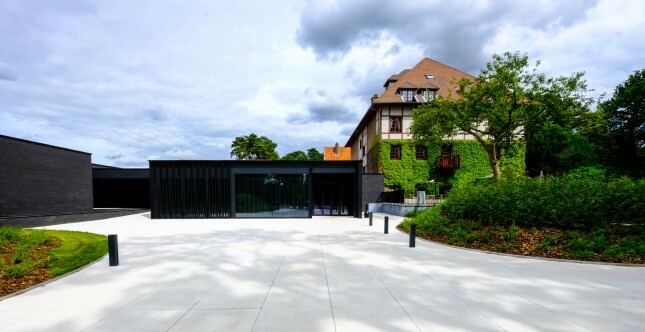 The 59 charming rooms are an important part of the complex, but the gastronomic restaurant La Source and the beautiful, brand new Spa La Forêt, give the property new dimensions. The original building (Le Mansoir) was built for a knight and his family and transformed into an elegant hotel that is part of the famous ‘Relais and Châteaux’ family today. 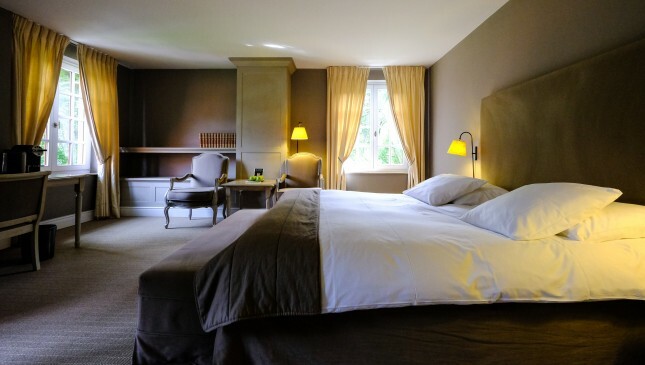 The 59 rooms at Hostellerie La Butte aux Bois are divided over three buildings: ‘Le Mansoir’, which features 23 more traditional, but very charming rooms, ‘La Villa’, with 16 luxurious and contemporary rooms, and ‘Spa Retreat La Forêt’, which boasts 20 ultra-modern rooms, located near to the spa. 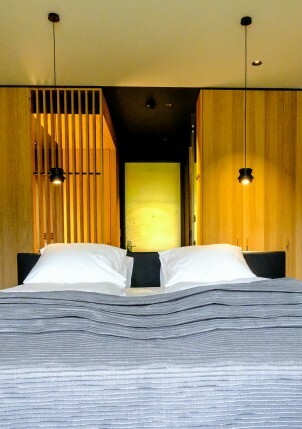 The design of the rooms varies from classic and warm in Le Mansoir, to sleek and minimalistic at the ‘Spa Retreat La Forêt’. 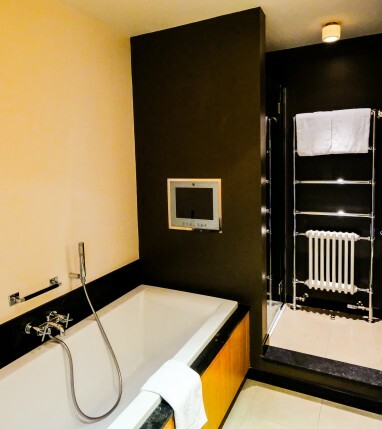 All of the rooms are luxurious and well equipped. Most of them offer beautiful views on the forests, parks and gardens. Nature is an important aspect of the La Butte aux Bois experience and a walk through the premises, with its beautiful gardens, ponds and artistic elements, is recommended. The Hoge Kempen National Park is accessible by foot and a great way to explore the surrounding areas. As in all ‘Relais and Châteaux’ properties, gastronomes will not be disappointed. For regional specialties and comfort food, there is the qualitative Bistro ‘Le Bistro’. A luxurious breakfast buffet is also served here. 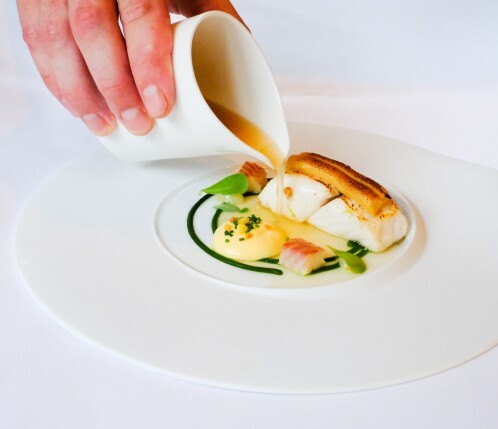 For top gastronomy, culinary flagship restaurant La Source is the place to go. 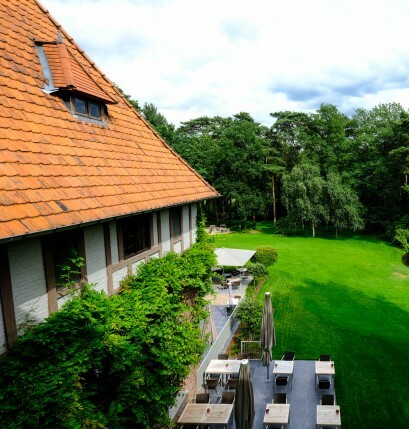 Executive Chef Ralf Berendsen and maître Kevin Vondenhoff offer guests a fine-dining experience that may be considered as one of the best in Belgium. For more information about this great restaurant, please consult our seperate review. 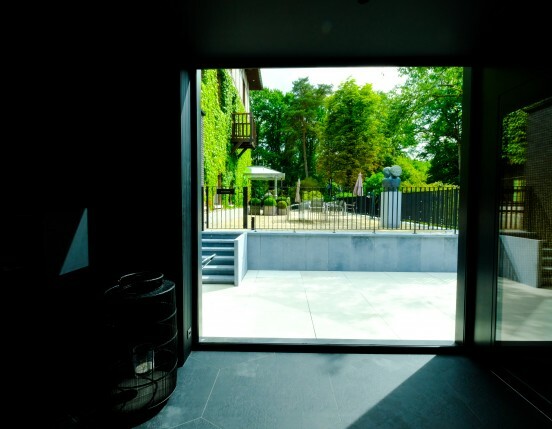 The new Spa Retreat La Forêt opened in May 2017 and is an important new asset of the property. Itis accessible for both hotel guests and non-guests and adds a new dimension to wellness with 1,350 square meters of wellbeing pleasure. 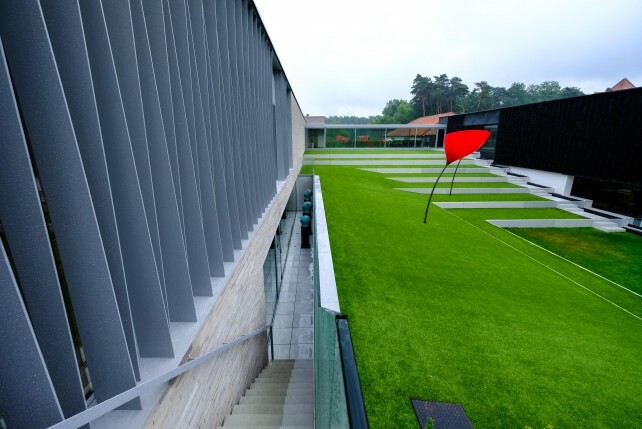 The design of the new building is modern and unique and adds a great contrast to the more traditional ‘Le Mansoir’. 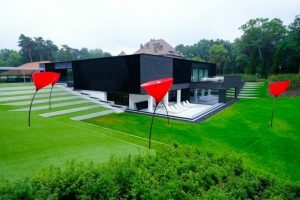 Entirely black and partially sunk into the surrounding area, with artistic elements like big, red flowers arising from the earth, the building is a beautiful example of contemporary architecture and design. On the ground floor, Le Spa boasts an indoor pool, a relaxation area, a panoramic sauna, Turkish bath, infrared benches and an iced water area. In the outdoor area, you can discover a covered terrace, an outdoor Jacuzzi, and meditation/Yoga spaces. Different treatments are available and you can also have a light lunch or some snacks before or after a treatment. There is also a state-of-the-art fitness area for sport lovers. Unique in Belgium is the dermatology clinic, located on the first floor and managed by dermatologist Dr. Yolande Bullens-Goessens (one of Belgium’s leading anti-ageing and skin improvement specialists). 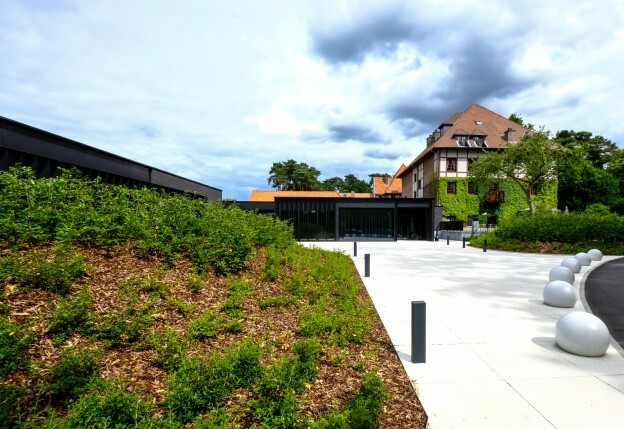 Gastronomy and wellness come together at the renewed Hostellerie La Butte aux Bois in Lanaken. 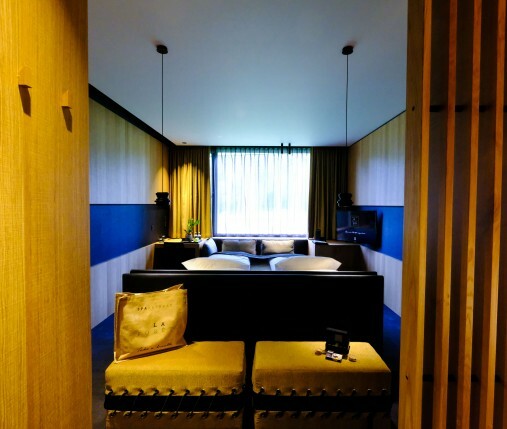 The property is a hospitality haven where nature brings tranquillity, top chef Ralf Berendsen gastronomy and the brand new spa wellness and health.